This stock video features an ocean setting before night fall. The sun is a giant golden ball and slowly sets over the rippling water. 4k00:21Gorgeous sunset aerial footage over Santa Monica Beach in California. 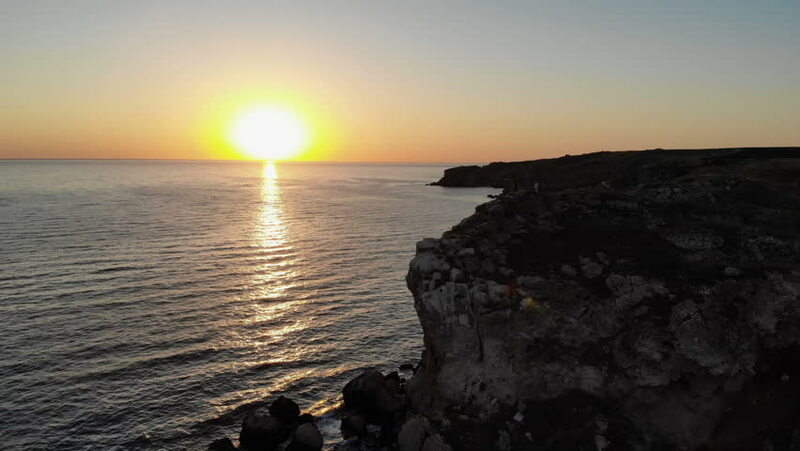 hd00:20On the video you can see a beautiful sunset in the Greek Islands.